Although there are countless Fashion Week events across the globe, there’s no doubt about the fact that Paris is the crowning glory of style. As one of the most impressive cities in existence, the designers here know exactly how to dress their models. Of course, not everyone can make their way to Paris for this prestigious event, but we can take a look at these outfits through the wonder of the internet. More specifically, we can look at the impressive street style looks that we can’t get enough of. Street style is all about mixing practicality and comfort with style and substance, and the midi-skirt is the perfect encapsulation of this. The midi-skirt can be worn in so many different ways, which makes it the perfect addition to any closet. They can be patterned, or they can be block colors, and you can team them up with anything. Yes, whether you choose to wear a T-shirt or a shirt, you can then finish off the whole look with boots, heels, sneakers, or even sandals. The midi-skirt world really is your oyster. Paris taught us many things during their Fashion Week, but perhaps the biggest lesson taught us that blazers are peak fashion. The models made their way down the runway in blazers of all shapes and sizes, from tailored to oversized. This means that their idea of street style is changing slightly. It’s no longer all about athleisure or comfortable clothing, but instead about bringing work to the streets. You can pair your blazer with pants or skirts because this is your party. If you’re not the kind of person that doesn’t want to wear a blazer but wants to keep warm, you’ll be happy to know that trench coats are back. What’s even cooler is that the traditional trench coat is back. This means camel is in, and size really does matter. 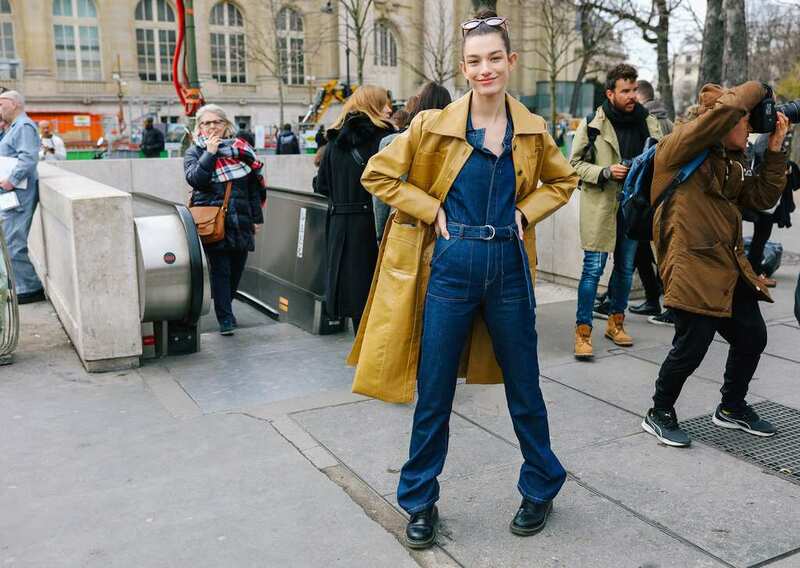 The longer the trench coat, the better, because the models at Paris Fashion Week donned theirs for the runway. After all, you can’t go wrong with this style classic. If you’re trying to keep your closet on top of the game, then it’s time to brush up on what the models are wearing during Fashion Week. This year, it’s all about style and substance so grab your credit card because it’s time to go shopping! Which trend will you try out first?